Depending on your frame of reference, a gig can be something really good or really bad. If you’re a musician, for example, a gig is a pretty good thing. It means you’ve got a job playing music and other people will listen to you. Maybe you’ll even make some money but in the very least, you’ll get some recognition for the work you put into your music. I got my first gig when I was in the sixth grade. A couple of times a week after school, I’d go home and get my no-name bass guitar and Sears Silvertone amplifier and walk to my friend Frank’s house. Frank had the most beautiful sparkly blue drum set I’d ever seen, and he knew how to play it. A couple of other guys with guitars came over if their Moms could drive them that day, and we’d play music for a couple of hours. I never had a bass lesson but back in those days pretty much all you needed to know as a rock ’n’ roll bass player was how to find a G, a C, and a D on the bass guitar’s E string and you were good to go. At some point, one of us decided that we were actually a band, so we took on the name “The Young Inspirations”—really—and we got our first gig. We played for sixth grade graduation at Henry Ford Elementary School. We played a few more gigs that summer, at church youth group dances and other similar events, but the band broke up before school started again in the fall. I like to tell people we broke up over “creative differences,” but it was actually because some of us got bussed to Kennedy Junior High and the other guys went to Goodwin Junior High. We just went our separate ways. Years later, when I was in boot camp, a gig wasn’t such a good thing. In this case, a gig was essentially a demerit for violations in uniform appearance during inspection. For example, you could get gigged for lint on your uniform or a scuff on your shoe. Usually a gig resulted in an order to fix the problem, but if you got enough gigs during parade inspection you could find yourself facing an extra-duty activity that would probably motivate you to never get another gig for the rest of your life. The origin of the word “gig” is hard to nail down. Most researchers agree that gig is a slang word first used by musicians or professional performers to describe a paying engagement they have agreed to do. The word first showed up in print in a London publication called Melody Maker in 1926, so it’s been around for a while. According to the World Wide Words website, the word gig today refers to any short-term, paying job or commission that is not associated with full-time employment. Today, “gig economy” is a commonly used phrase to describe workers who work short-term, contract-based work. These workers are typically looking to fill gaps in income, or are looking for variety in their work life by taking contract work in various industries, or just like to maintain control in scheduling their work around their life rather than the other way around. It’s kind of a modern take on freelance work. According to the U.S. Census Bureau, gig work is currently growing three times faster than the overall economy. I think the best-known example of a gig worker today is the Uber driver. Uber drivers are independent contractors who drive their own cars and choose their own hours. They work as much or as little as they want and provide their own equipment, such as a smartphone. They are essentially self-employed freelancers working a “gig” for Uber. The gig economy is beginning to become such an economic driving force that there are many who believe that having gig workers in the contact center—i.e., on-demand agents—is only a matter of time. One organization that is staying on top of this potentially important industry shift is Aspect Software. Aspect recently partnered with Conversion Research to undertake a national study of 500 active customer service representatives, aged 18 to 55 years old, with the objective of uncovering attitudes and preferences regarding their jobs. Among the topics covered with the research subjects was the gig economy and the possibility of gig work in the contact center. The research also determined that there are benefits to contact centers that extend beyond just having a pool of agents who might be available when they are most needed. “We found that 60% of current customer service gig workers prefer to handle moderately complex questions versus 52% of employed agents. Gig agents are also more experienced handling digital channels. 45% of current gig agents say the company they are working with has trained them on handling SMS customer interactions versus 21% of traditional agents. Gig agents are also more experienced on social media as well by a nearly 2-to-1 margin,” continued Dreyer. Just to get a feel for how the gig economy agent is viewed by the contact center professional, I asked a few questions regarding on-demand agents in the survey of end-users that my company, Saddletree Research, is currently conducting as we do at this time each year. 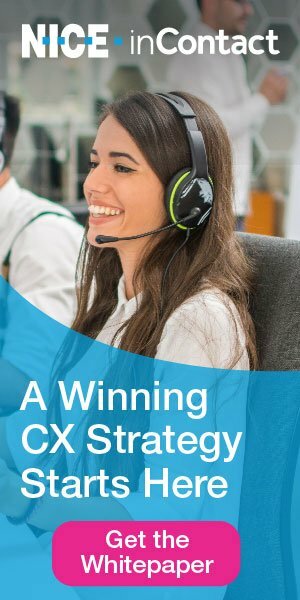 I have to admit that I was surprised to learn that over 56% of the contact center industry is currently evaluating the feasibility of gig workers in their contact center. Regardless of your personal opinion of the gig economy and gig workers, research indicates that it’s here to stay. Demographics will essentially force the global contact center industry to consider using gig workers and more than half of the industry has already indicated its willingness to do just that. I think having a pool of available talent ready for short-term work to cover seasonal needs, unexpected absences and other challenges wouldn’t necessarily be a bad thing. In fact, in the case of the contact center industry, I think a gig is a good thing.